This Professional Cookware 15 Piece Set includes 4 saucepans of varying sizes, 3 frying pans in small, medium and large, a large saucepan steamer and a large colander. 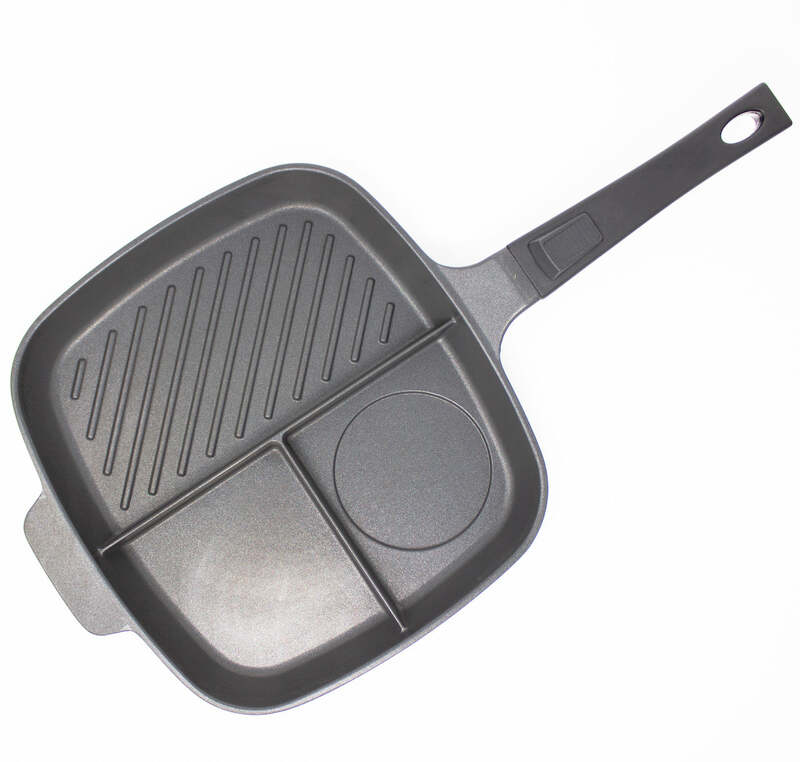 The pans benefit from being oven-proof, allowing you to start cooking on the hob and move directly to the oven or grill. 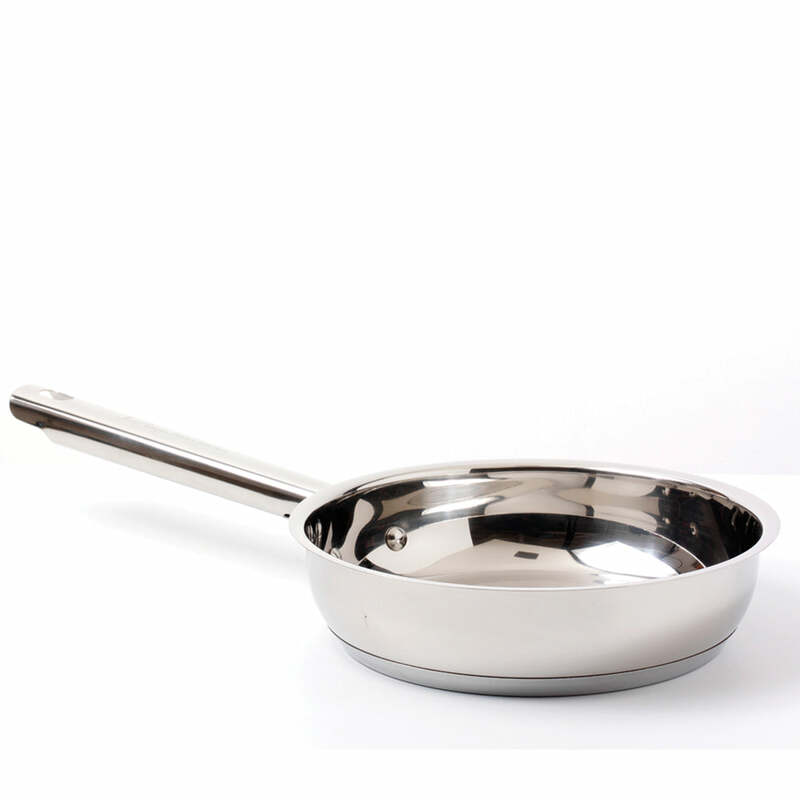 Each pan has an encapsulated stainless steel base. This gives you exceptionally even heat distribution ensuring food cooks and simmers evenly. 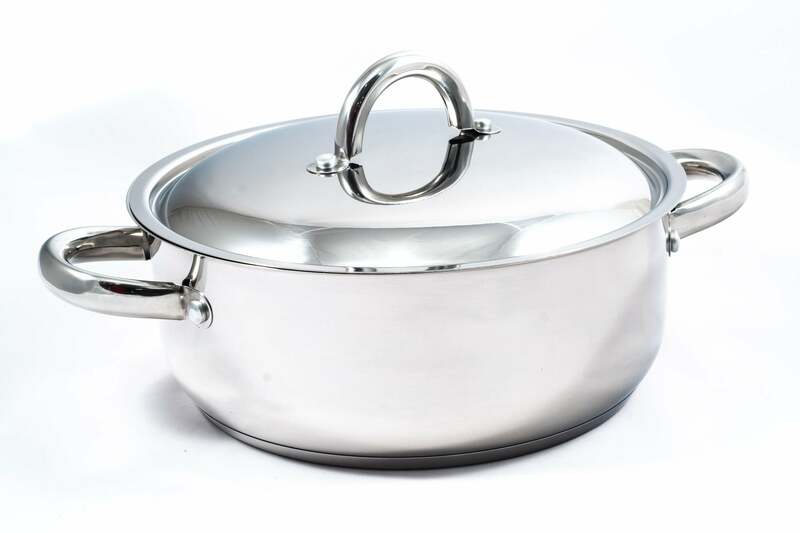 It also makes the cookware more energy efficient and economical, allowing you to cook using lower temperatures. They’re even dishwasher friendly so cleaning them is easy peasy! If you’re tired of all your battered aged old pans, buy this durable, stylish 15 piece set today and get everything you need in one go. They even come with lids and extra strong handles. CAUTION: Handle with care when hot. COOKWARE ESSENTIALS – This Professional Cookware 15-Piece Set comes complete with all the top quality stainless steel cookware you need, frying pans, saucepans and steamer. DESIGNED FOR ACCURACY – This set comes with rims that will allow you to pour sauces accurately and easily. VERSATILE – You can use all of the items on gas, electric, ceramic, induction or solid plate hobs. They can even be used in the oven. EASY TO CLEAN – All of these items are dishwater friendly. So, once you’re done with them, just pop them in the dishwasher! It's 15 pieces of the best looking stainless steel cookware my hands and eyes have ever been laid on. They also have inbuilt magic tricks, like: you can pour out of the pots and pans in any direction and when you stop pouring, the contents magically return to the pot without spilling or slopping down the outside. They are solid but light weight and the thick bases heat quickly and retain the heat. There is a pot and pan size for every culinary need and the multitasking stock pot has a removable steamer so; from stock, to jam, to vegetable healthnut you are good to go and there is a colander too. 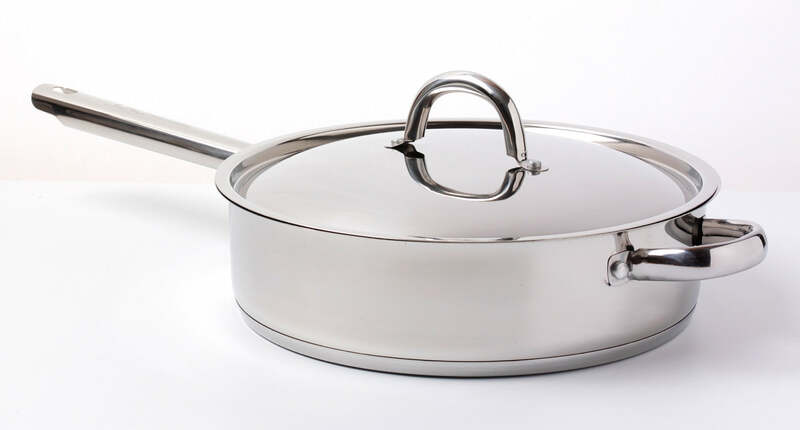 The handle design makes them stack easily and reduces the space required for storage and the lids are interchangable between the pots and pans....Jean Patrique really has everything covered. The despatch and delivery was prompt and the team sent delivery detail emails with trackable driver. I recently won the 15 piece set in the counterslice video competition, I smiled when I won and I am still smiling.... Thanks Jean-Patrique for making cooking easier. Have owned this set of cookware for close to 5 years now I'm sure, and they are still in great nick to this day. Whenever I cook what can be guaranteed is that there is a Jean Patrique pan involved. With the set I purchased covering close to every essential cookware item one could require. Wholehearted reccomendation for anyone seeking out the perfect set to fill out their kitchen with.